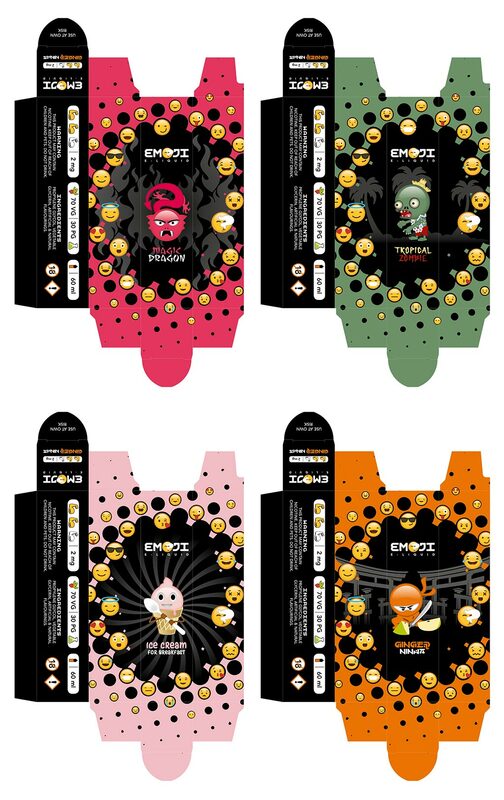 Emoji E-liquid is a new product hitting the vape market. 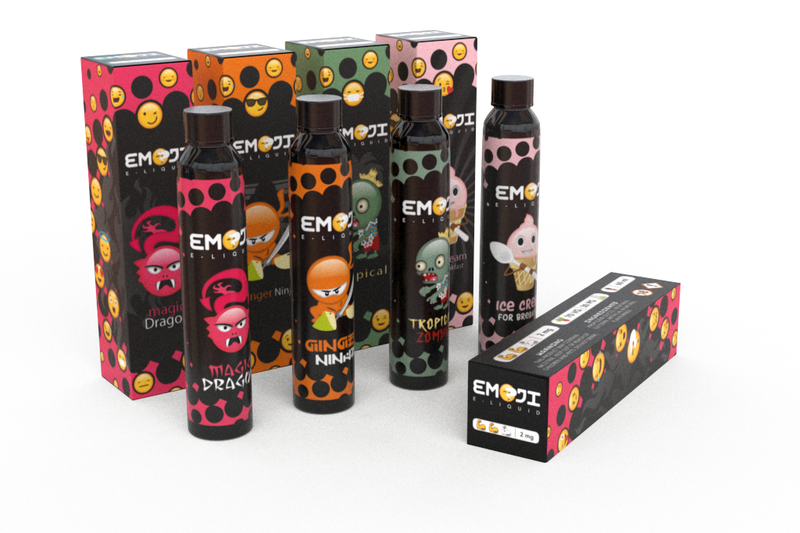 We are asked to design the logo and packaging (as well as the rest of the corporate identity). 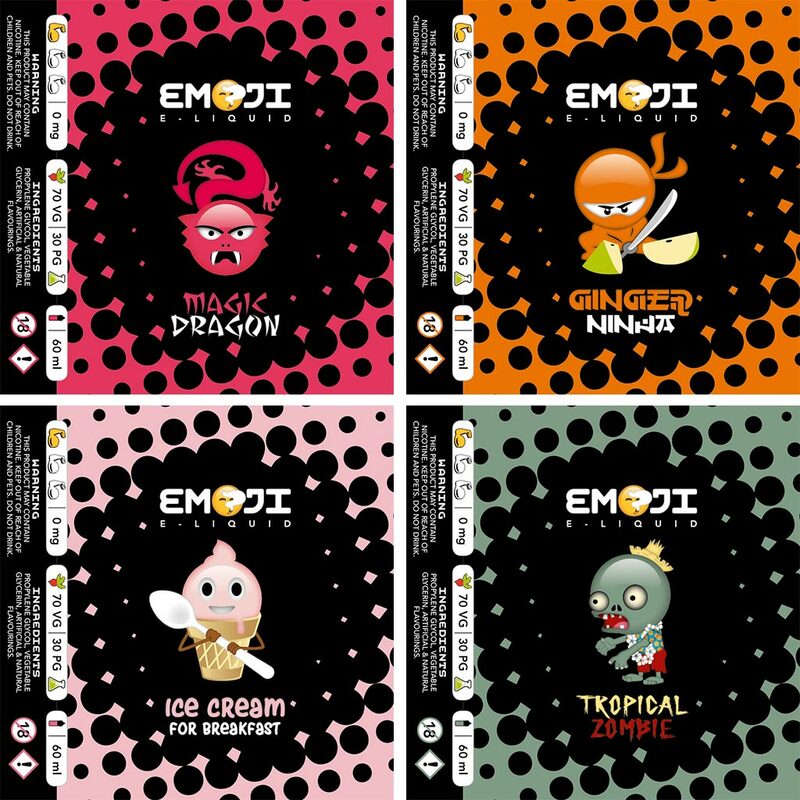 We took it a step further by illustrating custom characters for the various Emoji E-liquid flavours.